Whenever we need an easy weeknight dessert or just have some leftover bread that needs using up, I whip up a batch of this bread pudding. You can use any type of leftover bread for this. Just toast it and cut or tear it into small chunks. 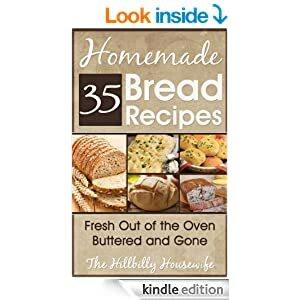 This recipe is from my 35 Homemade Bread Recipes Kindle Cookbook. 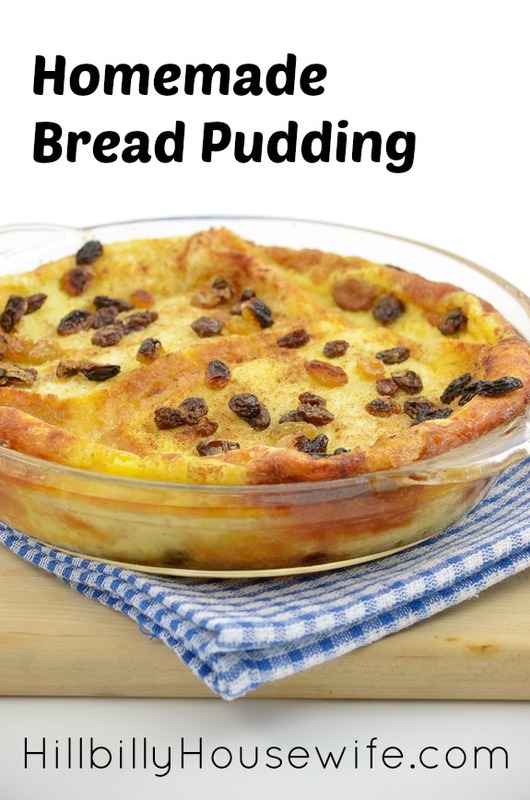 We like raisins in our bread pudding, but if you’re not a fan, you can certainly leave them out or replace them with some other dried fruit. I’ve made this with dehydrated apples in the past and it turned out great. I like to sprinkle some cinnamon in with the egg mixture if I’m using apples. What’s your favorite way to use up leftover stale bread? While preheating oven to 350 degrees, melt butter in a pie dish and grease the sides of it. In a large bowl, mix the milk, eggs, sugar, vanilla and raisins. Add the bread to the mixture and allow it to soak up the liquid. Pour the bread mixture into the greased pie dish. Homemade bread is a staple in my frugal household and I’m sure it will become one in your as well. 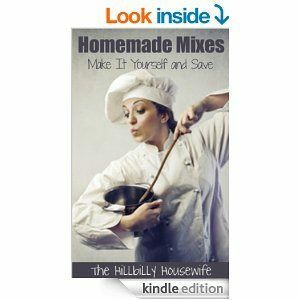 Download the Homemade Breads Kindle Cookbook ]on Amazon today.